Water: Water is billed in 1,000-gallon units based on consumption. These charges pay for water, operations and capital improvements to the water lines. Sewer: Sewer is billed in 1,000-gallon units based on the same consumption calculated for water, unless a deduct meter is installed to measure and deduct outside usage. These charges pay for treating sanitary sewer discharge, operations and capital improvements to the sewer lines. Stormwater: The fee for maintaining the stormwater drainage system is billed per Equivalent Residential Unit (ERU). Residential homes are billed for 1 ERU at the quarterly bill rate minus a Residential Stormwater Credit. Commercial properties are billed at the quarterly bill rate multiplied by the property’s number of assessed ERUs. 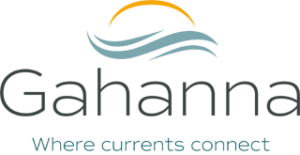 Columbus Consent Order: The City of Columbus treats the sewer discharged from the City of Gahanna. This fee is passed through from the City of Columbus and contributes to Columbus separating its sanitary and stormwater lines as required by the Environmental Protection Agency. It is billed at the quarterly bill rate multiplied by the property’s number of assessed ERUs. Refuse: The City contracts with a private company to provide for the removal of refuse, recycling, and yard waste from single-family residential properties. Refuse is billed at a flat fee each quarter. Utility bills are issued quarterly. Payments may be made monthly or any other time as long as due dates are met. Automatic Withdrawal (Checking or Savings Account): The balance due can be withdrawn from a checking or savings account each quarter on the due date with no fee from the City. Complete the Automatic Payment Deduction for Utility Bills form to set up automatic payment from a checking or savings account. When paying your utility bill through your bank’s online bill pay service, please be sure to include all digits of your account number. Errors will cause a delay in payment processing. Online (Checking or Savings Account): Make a one-time payment with a checking or savings account by logging in to the customer portal at https://gahanna.authoritypay.com. There is no fee from the City for this payment method. Online (Credit or Debit Card): Make a one-time payment with a credit card or debit card by logging in to the customer portal at https://gahanna.authoritypay.com. The payment processor will charge additional fees for this payment method. By Phone (Credit or Debit Card): Make a one-time payment using a credit card or debit card by calling 1-888-272-9829. Select option 3 and enter 8459 for jurisdiction code. The payment processor will charge additional fees for this payment method. If you need assistance with phone payments, call the payment processor’s customer service at 1-800-487-4567. By Mail: Mail a check or money order, along with the payment stub, to P.O. Box 183202, Columbus, OH 43218-3202. In Person: Pay your bill with cash, check, money order, or credit or debit card at the Utility Billing office in Gahanna City Hall at 200 South Hamilton Road, Gahanna, Ohio 43230, 8:00 AM to 5:00 PM, Monday through Friday. There is no fee from the City to pay in person, regardless of the payment method. The maximum debit or credit card payment in person is $1,500. The City of Gahanna is classified as a satellite community because it does not treat its own wastewater. The Ohio EPA has ordered all satellite communities operating a wastewater collection system to implement a capacity management operations and maintenance (CMOM) program to manage collection system assets and ensure compliance of best management practices developed by the industry. Therefore, the City of Gahanna is required to implement its own CMOM program. It is important for residents who are not tied to the City’s sanitary system to properly maintain their home sewer treatment system (HSTS). A deduct meter/sewer adjustment meter (SAM) is a water meter that is attached to the property owner’s water line that registers outdoor water use (ie: irrigation system). After a SAM has been installed and inspected, there will be no sanitary charges for any water that passes through the meter since water for outdoor use does not enter the City’s sanitary system. A SAM can be purchased through the Department of Public Service and Engineering, Utility Billing Division. The property owner has the meter installed by a vendor of their choice and then inspected by the City. During inspection, the City will install the AMI transmitter. If the water from a SAM is being applied to an irrigation system, a backflow prevention device must also be installed. This also requires a plumbing permit. For more information call the Department of Public Service and Engineering, Utility Billing Division at 614-342-4440, Monday through Friday, 8:00 am – 5:00 pm. During an extended and extreme cold period, pipes may freeze despite taking the precautions listed above. Using a low setting on a hairdryer is the safest way to thaw a frozen pipe. Wave the warm air back and forth along the pipe rather than concentrating on a single area. If a hairdryer is not available, wrapping the pipe with towels and pouring hot water over them is another option. Never use a torch with an open flame to thaw a frozen pipe. This could cause a fire or overheat a section of the pipe and cause it to leak or burst. Shut off the water line into your house at the master shutoff valve. This is typically located before your water meter (where the water line comes into the home from the street). This will stop the water from flowing out of the leak. If the water is still flowing from the leak after turning the shutoff valve, call the Water Division at 614-342-4440. The City will send out a utility crew to shut off your water from the curb box/street tap. Call a plumber to inspect the leak and perform repairs. A list of plumbers can be found in your local phone book. The City’s utility crew is not licensed plumbers and cannot perform private water line repairs. Low water pressure could be caused by a variety of reasons. It could be a water leak or a bad meter. Before calling a plumber, call the Department of Public Service and Engineering, Utility Billing Division at 614-342-4440, Monday through Friday, 8:00 am – 5:00 pm. After 5:00 pm and on weekends and holidays, call 614-342-4240. The Utility Billing Division will dispatch a utility crew to investigate the situation and assess the issue. When a water line must be turned off, typically to repair a water main break, a precautionary boil advisory is issued. Once the water line is turned back on, water reenters the system and the water line is back under pressure. The possibility does exist that bacteria can enter the system during this process. Thus the City issues a precautionary 48-hour boil advisory that takes effect once water service is restored. Any water used for drinking, cooking, making ice and oral hygiene should be boiled for at least one minute during this time period. Water samples are taken immediately after water service is restored and are sent to an environmental laboratory for testing. Once the laboratory confirms that the water samples have tested negative for bacteria, the boil advisory is lifted. However, until that time, the boil advisory remains in effect. The City is responsible for maintaining the sanitary mains. The property owner is responsible for maintaining the sanitary lateral, which runs from main to the building. If you smell a sewer odor or suspect a sewer backup, call the Department of Public Service and Engineering, Utility Billing Division at 614-342-4440, Monday through Friday, 8:00 am – 5:00 pm. After 5:00 pm and on weekends and holidays, call 614-342-4240. The Utility Billing Division will dispatch a utility crew to investigate the situation and assess the issue. If the obstruction is located within the sanitary main, the utility crew will clear it. If the obstruction is located within the sanitary lateral, it is the property owner’s responsibility to have their lateral line cleared. The City is responsible for maintaining the water line from the curb box (located in the front of the property, near the sidewalk) to the water main and the mains themselves.The property owner is responsible for maintaining the water service, which runs from the curb box to the building. If you suspect a water break, call the Department of Public Service and Engineering, Utility Billing Division at 614-342-4440, Monday through Friday, 8:00 am – 5:00 pm. After 5:00 pm and on weekends and holidays, call 614-342-4240. The Utility Billing Division will dispatch a utility crew to investigate the situation and assess the issue.They will determine who is responsible for the repairs.